FISHPACK home page at the netlib repository. http://www.netlib.org/fishpack/. 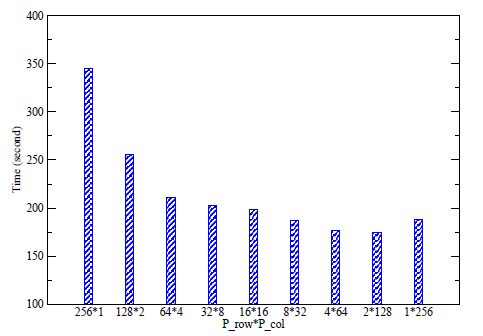 Fortran source code of Glassman's algorithm. http://www.jjj.de/fft/glassman-fft.f. 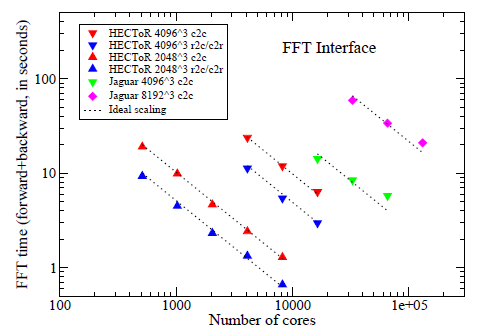 Plimpton's parallel FFT package. http://www.sandia.gov/?sjplimp/docs/fft/README.html. D. A. Donzis, P. K. Yeung, and D. Pekurovsky. Turbulence simulation on o(104) processors. In TeraGrid'08, June 2008. D. Hurst and J.C. Vassilicos. Scalings and decay of fractal-generated turbulence. Physics of Fluids, 19(3), 2007. W. E. Ferguson Jr. Simple derivation of Glassman's general N fast fourier transform. Computers & Mathematics with Applications, 8(6):401-411, 1982. S. Laizet and E. Lamballais. High-order compact schemes for incompressible flows: A simple and efficient method with quasi-spectral accuracy. 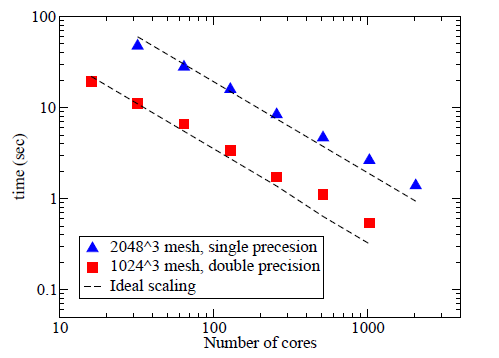 Journal of Computational Physics, 228(16):5989-6015, 2009. S. Laizet and N. Li. 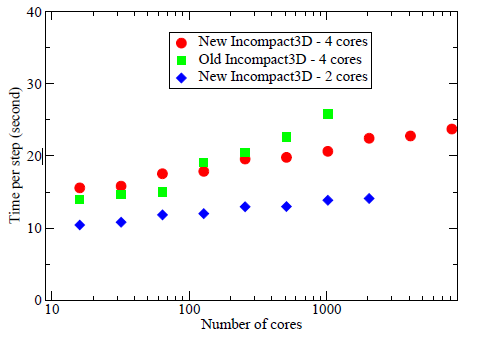 Incompact3d, a powerful tool to tackle turbulence problems with up to 0(105) computational cores. International Journal of Numerical Methods in Fluids, 2010. N. Li and S. Laizet. 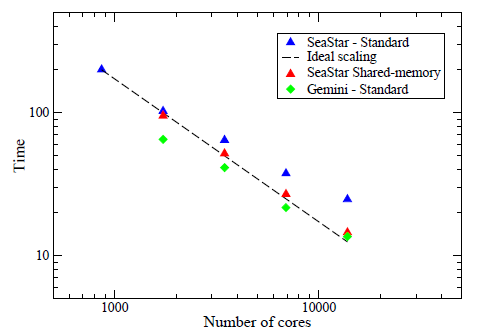 2DECOMP&FFT - a highly scalable 2D decomposition library and FFT interface. In Cray User Group 2010 conference, May 2010. R.E. Seoud and J.C. Vassilicos. Dissipation and decay of fractal-generated turbulence. Physics of Fluids, 19(10), 2007. P.N. Swarztrauber. The methods of cyclic reduction, fourier analysis and the FACR algorithm for the discrete solution of Poisson's equation on a rectangle. SIAM Review, 19(3):490-501, 1977. R.B. Wilhelmson and J.H. Erickson. 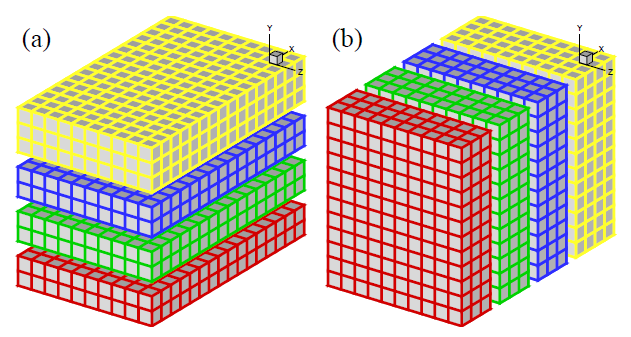 Direct solutions for Poisson's equation in three dimensions. Journal of Computational Physics, 25(4):319-331, 1977.